Report by Nishapati Nayak, Koraput: The Department of Sanskrit, Central University of Orissa, Koraput organized a Half-Day Seminar lecture on “Tradition of Sanskrit Kavyas” at its Sunabeda campus on 13.09.2018. 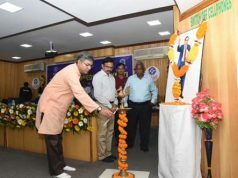 The programme was inaugurated by Prof. Sachidananda Mohanty, Hon’ble Vice-Chancellor as Chief Guest. The seminar lecture was delivered by Prof. Raghunath Panda, Retd. Professor & Head, P.G Department of Sanskrit, Utkal University, Bhubaneswar. Dr. Kumuda Prasad Acharya, Department In-Charge, Department of Sanskrit delivered the welcome address. Prof. Mohanty in his inaugural address congratulated students and faculty of Sanskrit Department for organizing a successful half-day seminar lecture. He explained the glory of Sanskrit and appealed the students to speak in Sanskrit and spread the language to others. He said “If someone wants to know about India and Indian culture, he must know Sanskrit first. The conducts of every human being purify, with the study of Sanskrit”. He also underlined teacher students relationships of Indian and West. Prof. Panda in his seminar lecture elaborated the relationship between the Western literature and Indian literature with special reference to Sanskrit and emphasized the tradition of Kavyasashtra and also gave an idea about the Kavyaprakasha of Mammata and Gitagovinda of Kavi Jayadeva. He said “the Kavyas of Sanskrit are enrich in knowledge and it can give solutions of so many unsolved problems of our society. We must respect our ancient tradition and we should widely practice it for its better”. Speaking on the other Kavyas of Sanskrit Literature Prof. Panda elaborated the glory of Naishadha, Kalidasa, Bharavi and Magha. Dr. Kumuda Prasad Acharya, Lecturer, Dept. of Sanskrit presented a Paper on Naishadhiyacharitam, and Dr. Birendra Kumar Sadangi, Lecturer, Dept. 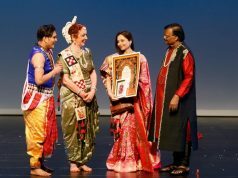 of Sanskrit presented a paper on Kiratarjuna mahakavye Vidyamadhava comentri. 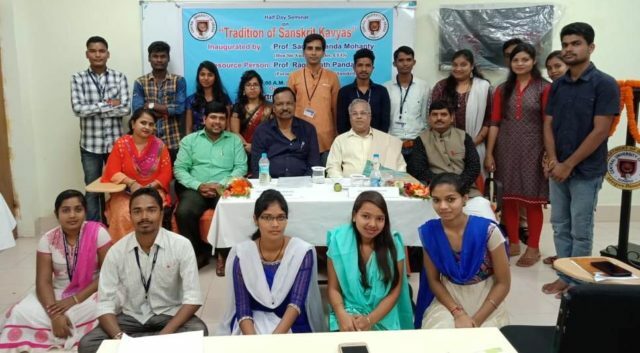 Students also presented paper on Sanskrit Kavyas. 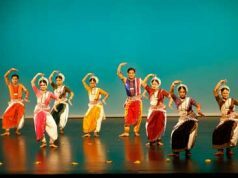 Sushree Subhada Priyadarshini Rath and Sri Biswanath Chaudhury, students of the Department of Sanskrit, compeered the programme. Dr. Birendra Kumar Sadangi, Lecturer, Dept. of Sanskrit offered formal vote of thanks. Students, faculty and staff were present at large.